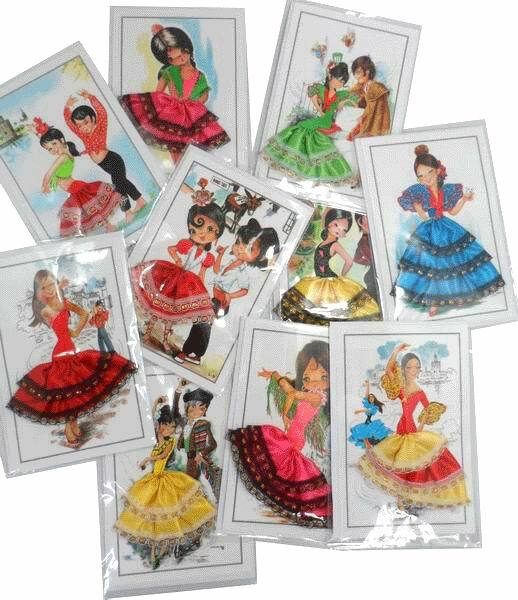 Have you seen these beautiful very Flamenca postcards for children? The postcards were used to communicate and to tell everybody where you were traveling. These postcards are very originals, you can use them to send invitations for Spanish parties. The postcards have a 3D Flamenco outfit in fabric. The drawings of the postcards may not be the same as in the photo of the product. Due to the variety of images available.